Looking for a way to really impress your loved one this Valentine's Day? We've got you covered with the Valentine's Day Photo Treat Tin. filled with 18 delicious rum balls. 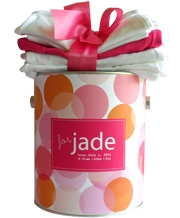 This personalized Goodie Tin usually ships in 5 business days.